Huddle House in 103 Regional Dr Elk City, OK | Any Meal. Any Time. Breakfast, Lunch, Dinner. 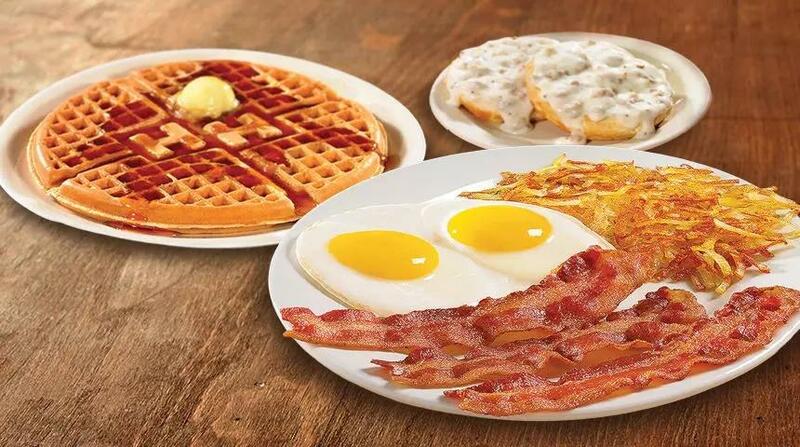 Choice of Applewood smoked bacon (3 strips), turkey bacon, country sausage or turkey sausage (2 patties), 2 eggs*, crispy hashbrowns, golden waffle or old-fashioned buttermilk pancake, and choice of homestyle grits and toast or biscuit with sausage gravy or turkey sausage gravy. 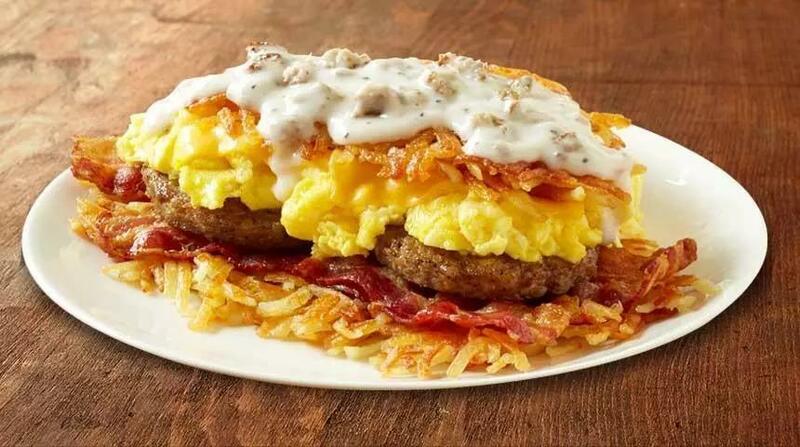 Our famous crispy hashbrowns, stuffed with your choice of breakfast meat, scrambled eggs and American cheese. Served with buttery toast or fluffy biscuit. The king of dinners. 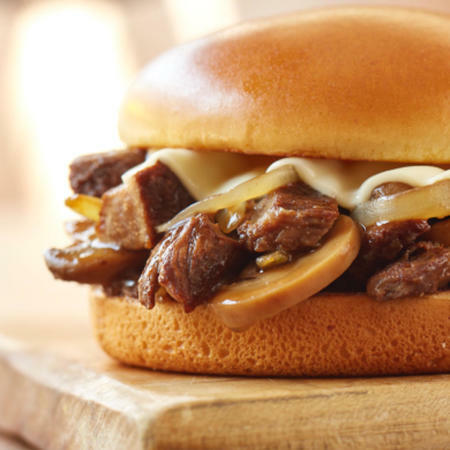 Try tender prime rib tips, grilled sautéed mushrooms and caramelized onions with a savory au jus sauce. Add 2 dinner sides and Texas Toast or a buttery biscuit. For a Limited Time Only. Huddle House is the host of family and friends, brought together by good food served from the heart for breakfast, lunch, or dinner. From our first restaurant that opened nearly 60 years ago in Decatur, Georgia to each community we operate in today, that’s the simple idea that brings us together every day. 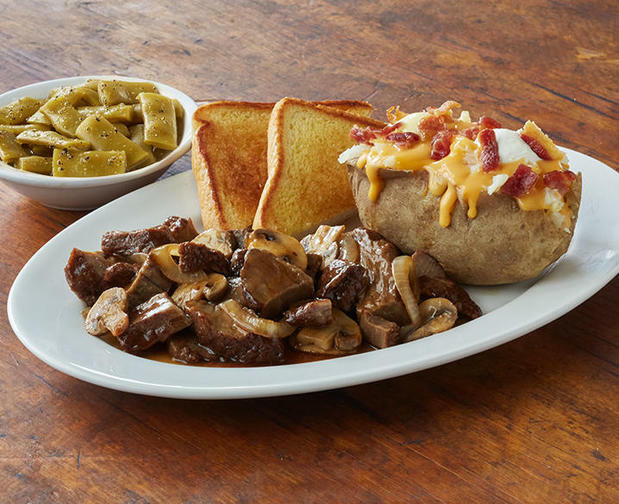 We’re a neighborhood diner that makes every meal fresh, hot, and cooked-to-order, whenever you want it.